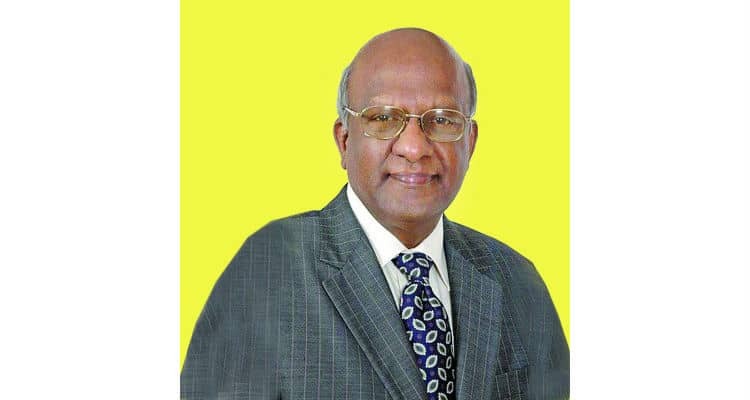 The late Prof. C. K. Prahalad, a renowned thinker, teacher and visionary has had a great influence on the Indian IT industry during its infancy and significantly contributed to its success. I am one of those privileged to have been associated with him. He often used to lament that no efforts were made to capture the real story of Indian IT industry which is unparalleled in the history of the industrial world. China’s ascendency in manufacturing was based on its cheap and abundant labor and that model has been practiced earlier by Japan and other Asian tiger economies. But, what intrigued many pundits was how a developing country like India could become a leader in advanced technology like IT despite all its limitations of infrastructure and governmental controls. One of the reasons for this success is the focus on local Research & Development (R&D) by the industry. Post-Independence, India adopted a socialistic model of development where in all facets of economy were controlled by the government, which led to the dominance of public sector units. Dr. Homi J Bhabha prodded the government to set up Departments of Atomic Energy and Space Research. These departments faced shortage of skilled human resources as none of the Universities at that time were teaching subjects relevant to their requirements. So, they started practice schools wherein bright fresh graduates were taken and trained in-house for the required skills. The R&D of Department of Atomic Energy indigenously developed electronic instruments and computers, as western countries refused to sell them due to restrictions imposed. Later, the department transferred its technology to Electronics Corporation of India Limited (ECIL) at Hyderabad. ECIL focused more on real-time applications due to its heritage. The need for commercial computers was met by IBM of the United States (US) with its refurbished machines and ICL of the United Kingdom (UK). The Government also set up Department of Electronics with a mandate to regulate electronics and computer industries. Enterprise applications in the US and other countries centered on and around expensive proprietary mainframes and minicomputers. At the same time, microprocessors were used by IBM, Compaq and others to design Personal Computers for increasing personal productivity. India was a price sensitive market and a virgin territory without any legacy systems. Indian IT industry converted this challenge into an opportunity by offering microprocessor based minicomputer systems to address enterprise applications with excellent price performance. It adopted open systems like UNIX operating system, IEEE standard bus, third party compliers and databases etc. The Indian government lent a helping hand to this movement by standardizing such systems for government and commercial bank applications. Companies like Wipro anticipated that the government would open the computer industry to competition by inviting foreign players who would come in with advantages of technology, talent and financial resources. It would indeed be an uneven contest. It also dawned on the Indian players that if the doors are opened for outsiders to come in, it also implies that Indian companies could go out and address global opportunities! The only globally recognized resource India had was skills to design computer products and to develop software. In this context, Wipro decided to convert its captive R&D addressing the domestic market, to a business unit that addressed global opportunities in software development and product development, i.e., being a ‘Lab for Hire’. That was the beginning of Wipro Global R&D. When the government started liberalization of the Indian economy in 1991, Wipro was ready to go global. Wipro pioneered the concept of ‘India Development Centres (IDCs)’ that replicated customers’ own development centres. It put together an IP policy that articulated various procedures that govern IP, including training, escalation procedures, protection measures etc. Further, to insulate the IDCs from infrastructure inadequacies, Wipro equipped them with captive power generators, satellite communications etc. Using Intel as a reference customer, Wipro succeeded in getting more technology customers like Tandem Computers, NCR and Sun Microsystems. To guarantee timely delivery and ensure high quality of service, Indian companies needed to follow globally accepted standards. Unfortunately, no such standard was then available specifically for software development. Though, Wipro had implemented quality processes in its computer business, right from the factory floor to customer feedback mechanisms. Wipro took ISO 9000, meant for manufacturing oriented activities and developed a quality system for software design. Wipro was also quick to adopt software development quality standard defined by Carnegie Mellon University called the Capability Maturity Model (CMM). Wipro was assessed at Level 4 (highest being Level 5) in its first attempt. Wipro then added Six Sigma processes over and above CMM and ISO 9000. Most of other Indian IT companies addressing global opportunities followed the suit and accounted for the largest number of CMM compliant companies in the world. It can be said that R&D in Indian IT demonstrated this unique capability for design of computer hardware, software, applications, handling of small and large projects without the need for its customers to change their processes, only because of the strong quality processes it adhered to. The third phase commenced in mid-Nineties when R&D in the IT industry ventured into addressing global opportunities based on the skills honed for domestic market. This success encouraged MNCs to set their own global in-house R&D centres in India. As the centre of gravity of global economy moved to emerging economies, the India market presented a laboratory for the MNCs to design relevant products and try them before taking them to other markets. Today, the Indian IT industry is mature thanks to its R&D lineage. It is ready to assimilate digital technologies, Internet of Things (IOT), Artificial Intelligence, machine learning, and automation, and help global enterprises to adopt these emerging technologies. The world has recognized that India indeed is powerhouse in Information Technology.